SpotAngels helps you find parking spots. 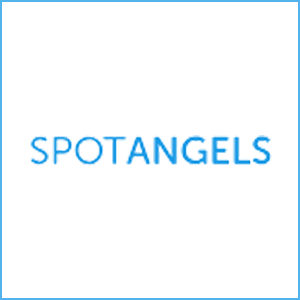 SpotAngels is one of the simplest apps that also has incredibly useful features. There’s no fancy homepage, no complicated explanation about the product, and no unnecessary information whatsoever. There’s simply a map of a city, and a comprehensive list of parking spots available in whichever location you select. 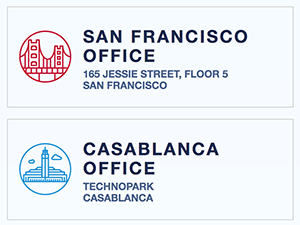 According to the site’s About page, the company has offices in both San Francisco and Casablanca. It’s goal is to “fix parking” worldwide, by showing you all your options, saving your parking location, and sending you reminders in order to ensure that you won’t receive a ticket. If you live in a congested city like San Francisco, New York, or Los Angeles, the site can be a huge help. 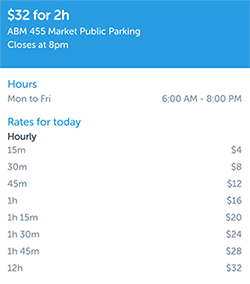 SpotAngels‘ team is transparent about their business model, claiming they “make money by licensing [their] parking maps to car companies.” The app is currently free, and, according to the founders, “always will be.” The site lets you enter the city in which you need parking, as well as the dates and times that your car will be left alone. 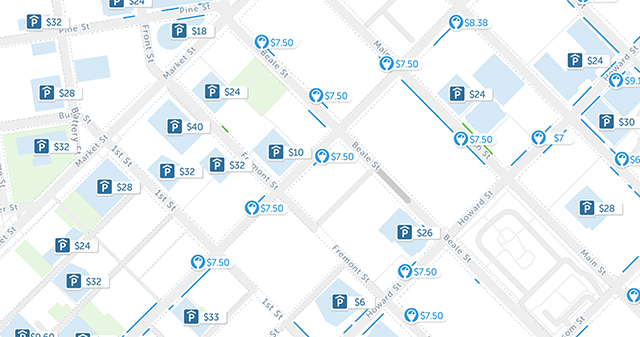 The map then displays several different options, including parking garages and meters, each with the amount of money that parking would cost for the amount of time desired. There’s tons of additional useful information on SpotAngels, such as street cleaning days and other parking restrictions by date and time. Parking can be a miserable experience, but SpotAngels at least makes things a little easier.